As technology rapidly improved, our methods of communication shifted: from written letters, to fax, to email, to real-time communication in text messaging and chat programs. And this shift has made information available for us on demand. Companies spend a lot of money to ensure what shows up in social feeds or ad-based marketing are targeted to the desired audience —and they do so using data science – because it works. It’s no wonder that in the time we moved from the wired telephone to being able to group video chat on our phones that another consumer item also became increasingly connected. And it’s not one that you might think of first: your car. Cars, and subsequently drivers, hold a breadth of data—and in a world where data is king, not utilizing it is a travesty in and of itself. Our vehicles hold a wealth of information that, to most, is hidden under a sheen of mystery. We know it’s there, but we don’t quite understand how it works. When our check engine light comes on, we panic. Our tire pressure notification light highlights and we feel inconvenienced. And we, as drivers, occasionally find ourselves going a bit faster than we should… and then we’re angry when we get a speeding ticket. Perhaps, you sit in your car to finish a call, letting it idle so you don’t need to deal with the inconvenience of your Bluetooth disconnecting. Currently, utilization of data is crucial for proper vehicle performance and driver efficiency… and it holds even truer for businesses with fleets. If you’ve ever tuned into performance racing, you see people in pit crews holding a tablet with charts, graphs and figures moving about. Gone are the days where this is specific to just that demographic. 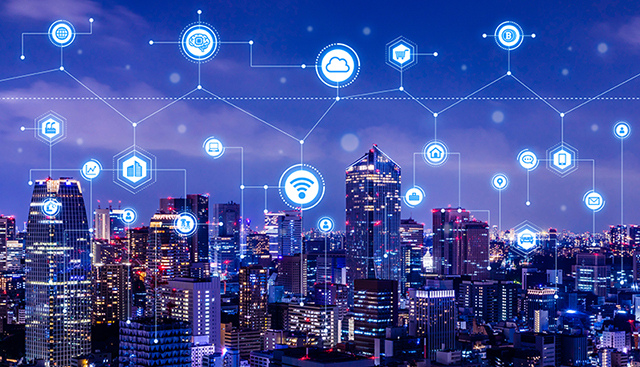 As vehicles become more connected, understanding what data points are meaningful is as important as the data itself. It’s important to monitor peak engine performance at all times for a racecar to ensure the vehicle can continue driving safely at upwards of 100 MPH. However, you probably don’t want your drivers trying to go that quickly in your fleet vehicle. But if they do, it’s important to know that it occurred. And that’s where data collection from the vehicle comes into play. If data is king, understanding and ingesting the data is queen. With tens of thousands of data points available, wading through the noise and excess to extract important and actionable insights is proven as a valuable service – perhaps from your fleet provider. But the value in understanding data metrics extends beyond simple revenue generation. It’s understanding key performance indicators (KPIs) that measure how impactful certain datasets are. However, in a world where data is king, not all kings are equal. For instance, by understanding your specific behavior patterns, targeted ad campaigns can leverage KPIs to highlight the items most important for you. Targeted ads show relevant products or services based on your prior search behavior and browsing patterns. Utilizing a vast pool of data across a large population, these advertising campaigns utilize machine learning and neural networks to target the people who are most likely to click the ad. All this data is accrued just by using your search engine or online shopping. Much like search engines, vehicles provide data in spades—engine hours, engine temperature, diagnostic trouble codes, speed, acceleration, braking, location, fuel economy, distance traveled—and that’s just to name a few. The deluge of information can easily be overwhelming, and the vast amount of data must be corralled and normalized to be useful. Data normalization, in essence, takes those tens of thousands of data points and derives the data into separate events. Events can be meaningful or meaningless—and the meaning is dependent on your fleet’s goals. For example, if increasing safety is your goal, the data will enable you to see how each driver performing. Then, you can target specific situations as necessary to reduce risky behavior such as, speeding, aggressive acceleration or harsh braking, which can lead to preventable incidents such as rear-ending. Unfortunately, there’s no cookie cutter solution that fulfills a one-size-fits-all approach. And determining the right event data to optimize your fleet requires a thorough understanding of both the fleet and the data. Another point of distinction is that not all data is created equal, and should not be treated as such. Different OEMs provide different data points. And all of them use their own specifications to remain proprietary. Some OEMs provide more data than others, and the further back in history you go, the scarcer data becomes (across all OEMs). It’s unrealistic to expect that a fleet is made up of all brand-new vehicles conforming to a uniform make and model. So, it’s important to understand that discrepancies in data and extrapolating the meaningful bits hangs in a fine balance. This balance is important to maintain through bringing data in from the best source possible for each vehicle. Another term thrown around the data conversation and business intelligence utilization is data agnostic. What that means for the world of vehicles becoming more connected is: by sourcing data from different OEMs and from different vendors who make it their focus to bring that data to life, you can see a better picture of the fleet at large rather than conforming to a single data source. Data agnostic insights are important because it shows the best possible data for each individual vehicle. This alleviates the problem of mixed fleets and tailors actionable insights to the best of each vehicle’s ability—regardless of manufacturer. *LeasePlan is committed to ensuing we handle customer, business partner and employee data to a high and compliant standard. We were one of the first companies to introduce a set of binding privacy rules across the whole of our organization, and we have established a dedicated Privacy Office to make sure those rules are upheld. But this does not make us complacent. As technology develops and our use of data changes, LeasePlan is continuously working to improve our data protection policies, processes and systems. 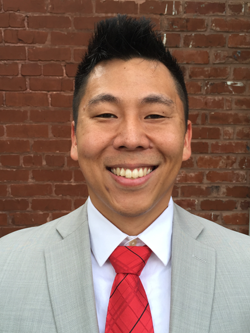 Frank Zhang serves as a product manager for LeasePlan USA. In this role, he focuses on delivering a superb user experience with intuitive, customer centric and data-driven solutions. Frank has focused his career in the fleet and software industries, always focused on bringing value through client success. He served in the U. S. Army for six years and earned a bachelor’s degree in computer science from the University of Georgia.